Between broken bones, concussions and musculoskeletal injuries, my parents had their hands full. I learned at a very young age that pain was not just for grownups. I also learned at a young age the impact chiropractic would have on the rest of my life. I can still remember my first visit to the chiropractor, and the feeling I had when I left his office. It was like nothing else I had ever experienced and I liked it. From my first adjustment, I knew that chiropractic was for me. The pain relief I received was amazing, but the education and information I got from the doctor was invaluable. I knew at that time that this was the path I would end up taking with my life and career. 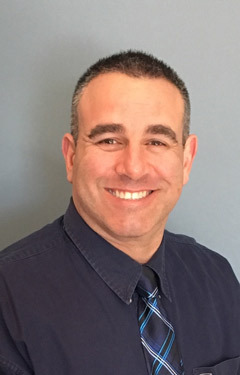 After serving his country for 4 years in the United States Marine Corps, Dr. Roth attended and graduated from Kean University with a Bachelor of Science degree. After graduation he was accepted and immediately began his professional studies at Logan College of Chiropractic in Chesterfield, Missouri where some of his courses included biochemistry, human anatomy and physiology, x-ray, physical diagnosis and chiropractic adjusting techniques. After graduating in 1998 Dr. Roth opened up his own private practice in Pennsylvania. After 11 years in Pennsylvania, Dr. Roth sold his practice and moved his family out to Long Island, where he opened 3 Village Wellness. This year, he has now opened Body & Spine Solutions in Miller Place. As a member of the Body & Spine Solutions staff, Jessica has become an integral part of our practice. She is the go to person for patients who have questions or concerns about their health and wellness. Jessica is a single mother of 3. Her passion for health and nutrition developed when her son was diagnosed with autism. She new at that time that she needed to make some healthy lifestyle changes for herself and her children. Learning about nutrition, dietary changes, detoxification and how different foods affect the body has made Jessica a better mother, and she has pursued this way of life for not only herself and her kids but for our patients as well. She believes optimal health is never achieved through a pill, but rather a combination of proper diet, supplementation, exercise regimen, and making healthy lifestyle choices. 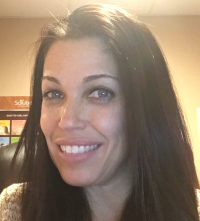 As program director at Body & Spine Solutions, she takes pride in making sure each and every patient and client has the motivation and support they need to achieve their health and wellness goals. I want to thank you for taking the time to look around our site. Hopefully you have learned a little about myself, our staff, our office and all of our amazing services. We offer many services at Body & Spine Solutions that will keep you and your family feeling good, looking good and being able to live that healthy life you want and deserve. People are living much longer these days than they have in the past. Taking good care of yourself today, will have a major impact on your life tomorrow. Let us help you. Call Body & Spine Solutions at (631) 675-2910 today and set up your complimentary no obligation appointment to see if our services are right for you. Thank you.